Beautiful & Challenging Sailing Waters! This is the 'Private Pilots' Licence' of International Yacht Crusing - you need your Day Skipper / ICC (International Certificate of Competence if you want to be safe and legal to charter or flotilla sailing yachts in Greece, Croatia, UK, BVI, Canaries and pretty much every country in the world. Also required for insurance and harbour authorities if you plan to own / buy / cruise. Get the skills & knowledge to be safe, along with the Internationally-Accepted Photo-I.D. Licence Card Certificate. You can bring a partner, friends or family to join you on the same yacht whilst they do the same or different course-levels. The RYA Day Skipper course isn't an exam or test; and there is no 'pass or fail'. It's a fun teaching & cruising week with continual assessment. 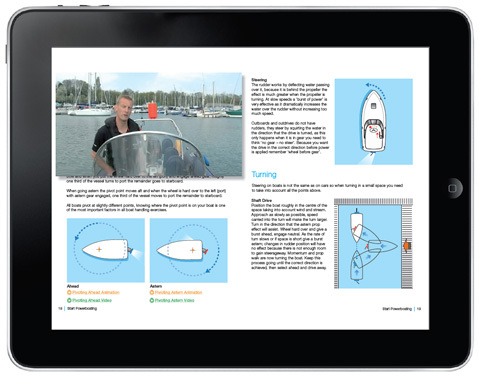 The training consists of a structured 14-part syllabus - when all parts are completed and signed off during the course, you will be awarded your RYA Photo-I.D. Certificate at the end. (passport-sized photo required), and then simply end away to receive the additional 'ICC' (free for RYA Members). Some have done some previous yachting or dinghy sailing in the past, and want to move onto larger sail cruising yachts for yacht chartering or ownership reasons - dinghy sailors actually make very good Day Skippers because the wind-awareness aspects are very similar. The RYA Competent Crew Course is designed for beginners to yacht cruising, and is the ideal pre-cursor to the RYA Day Skipper. If you're not sure which course-level that you personally should be aiming for - choose our FlexiLevel option (see course menu). This allows you to move up or down the course scheme as needed whilst on-board with no additional costs or requirements. The Day Skipper sailing course is normally taken over 5 Days/Nights; it's Full Board Mon-Fri, with Check-In / Arrival from 1830pm on Sundays at Largs Yacht Haven, KA30 8EZ, where there is free 24hr Secure Parking. It can also be done over any 3 weekends. The 5 Days/Nights course is the most popular options as it costs less than 3 weekends, but as a learning experience it's also a little more 'joined-up'. With 5 Days/Nights you get to travel further and to more varied places, and experience life on-board over a longer period. The RYA Day Skipper / ICC is a continually-assessed enjoyable and practical teaching course - it's not a test, there is no exam and it is not a 'come along and 'prove' you are already a Day Skipper type event! Most people come with relatively little prior knowledge or sailing experience; it's recommended that you have around 5 days' seatime, 100 miles & 4 night hours, as well as having some navigation knowledge to the level of Day Skipper. Before this course, if you are not sure that your sailing is up to speed, a good way to learn is on an RYA Level 2 dinghy course. This will teach you to sail around a course and control the boat's speed. -Booking as a Couple? Get a Free Private Double or Twin Cabin! Bring some spending or 'pocket' money. This is designed as an enjoyable yacht sail cruising experience and you and your crew may wish to visit some places ashore. All on-board meals, snacks and drinks are included, and the yacht will visit different islands, marinas, anchorages and ports, according to crew wishes and the aims of the course. If you and your crew decide to visit a marina that charges for use of premium facilities such as overnight sheltered berthing, mains electricity, wifi, shorebased toilets & showers, easy access to shops, restaurants and bars, then the cost of this decision is normally split equally by all students / crew. The RYA Day & Coastal Skipper Photo I.D. Licence Cards are £5 each on award of the certificate. This is what the RYA charge us to purchase them for you, and you need to supply a passport-sized photo also. We will register these centrally with the RYA National Database on issue. Typical charges are £25-£30 per night (£5-6 each), some crews choose to do this once or twice, and some not at all. There are also interesting places to go that do not charge at all and we encourage all our crews to explore the different islands and bays. RYA Day Skipper / ICC Practical Sailing Courses run every week and weekend. 5 Days/Nights Courses are Sun-Fri, or you can choose from any 3 Weekends (Fri-Sun). To book a 3-Weekends course, simply repeatedly add either 1, 2 or all 3 weekends using the 3 Weekends Booking option. With ScotSail®, it's just a £49pp deposit to reserve your place on-board. You can cancel for a full refund of anything paid, change the dates, or the number of persons in your party, at any time up to 28 days prior to departure. There is FREE 24hr secure parking for all ScotSail® customers, with CCTV and manned security patrols - just approach the barrier on arrival and press the intercom button to speak with reception. Give them your name and that you are with ScotSail®, and they will let you through. If you're not coming by car, there is very easy access by rail and air. 70% of our clients come from outwith Scotland, including England & Wales with many from Europe, Australia and other countries.